These girls are miracles. Born at just around 1 kg each, they were rare and premature mono-amniotic twins. Elizabeth & Isabella’s parents had a hard start to parenting as they worked together to help them thrive and grow, finally able to go home after a long NICU stay. They were gifted my services, which is such a thoughtful and ​​long lasting gift idea. All of their images were taken in the comfort of their home, as I do with all my clients. 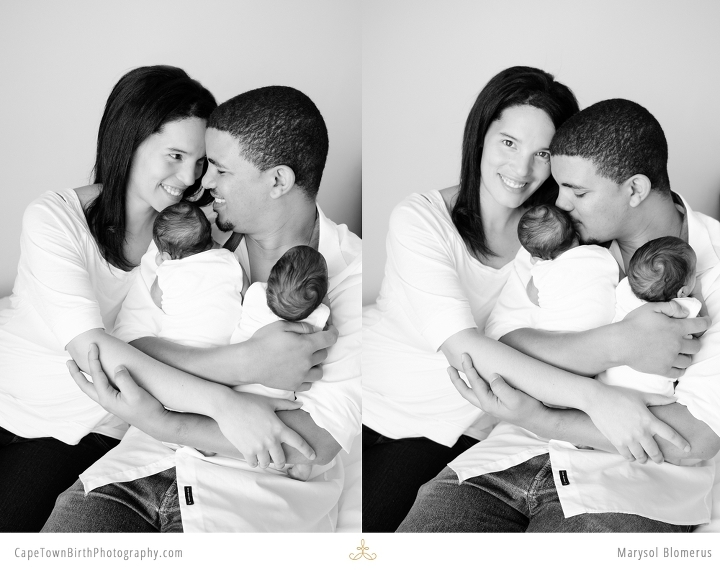 Its less hassle taking transporting babies and creates for lovely intimate images in your own space. That then frame well as they go with the decor of your home. Check out Elizabeth and Isabella’s beautiful hair patterns and little bits of emerging baby fat (a welcome relief to their parents, I am sure). To their parents, you are an inspiration of team work and hope. ​Thank you for allowing me to be a small part of your journey. ​Enjoy your family of four.